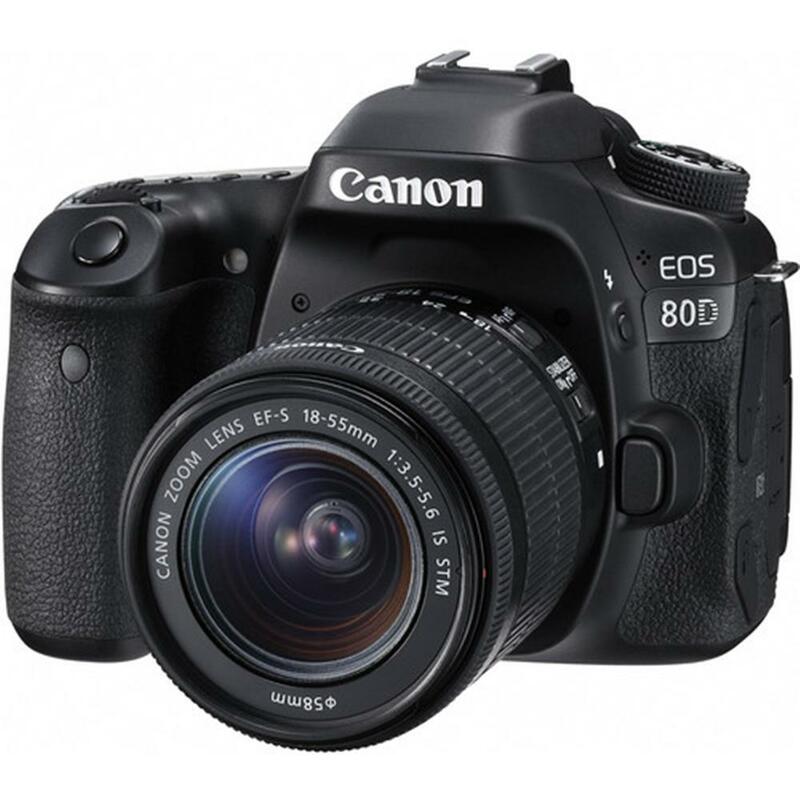 Purchase a select Canon EOS 80D Camera. 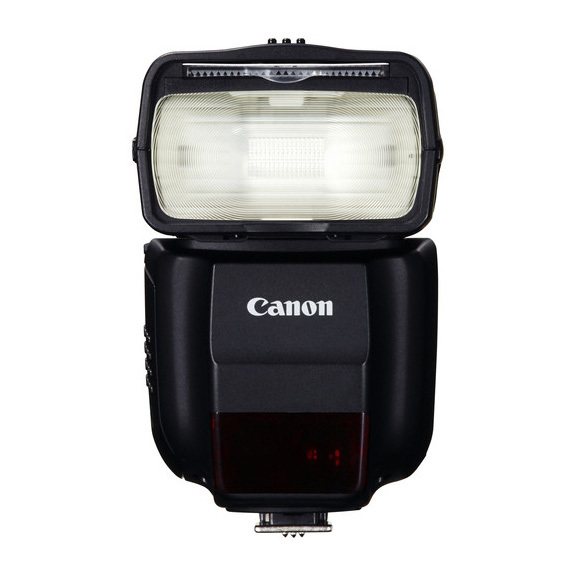 A Canon Speedlite 430EX III-RT Flash will be automatically added to your shopping cart. A $349.99 value. Offer valid March 1 to May 2, 2019, until 11:59 p.m. E.S.T., or while quantities last. 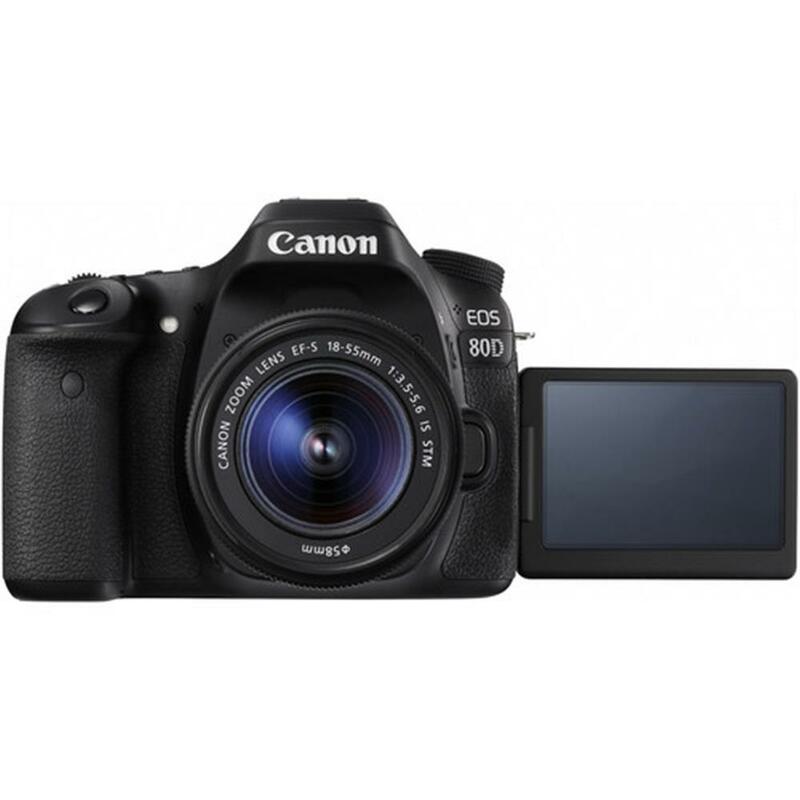 Purchase a select Canon EOS 80D Digital Camera. 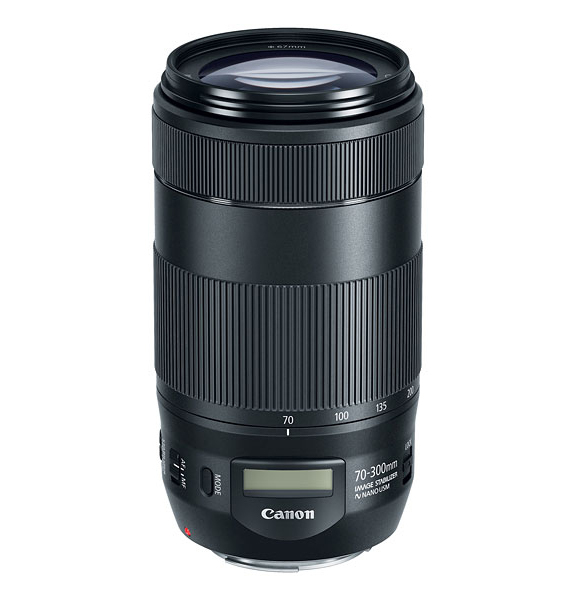 Purchase a Canon EF 70-300mm f/4-5.6 IS II USM Lens. You will save $200 off of the lens. Both items must be in your Shopping Cart for this offer to apply. Whether raising your game to SLR level photography or having fun with a feature-rich, versatile SLR you can use pretty much anywhere, the EOS 80D camera is your answer. 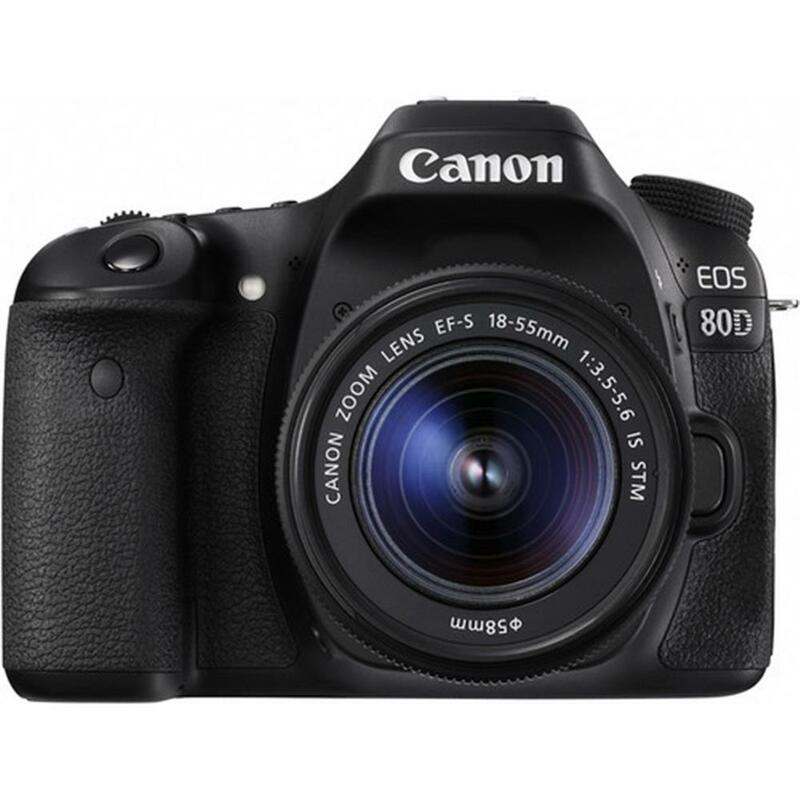 The 80D features an impressive 45-point all cross-type AF system that provides high-speed, highly precise AF in virtually any kind of light. To help ensure you don't miss the shot, an Intelligent Viewfinder with approximately 100% coverage provides a clear view and comprehensive image data. 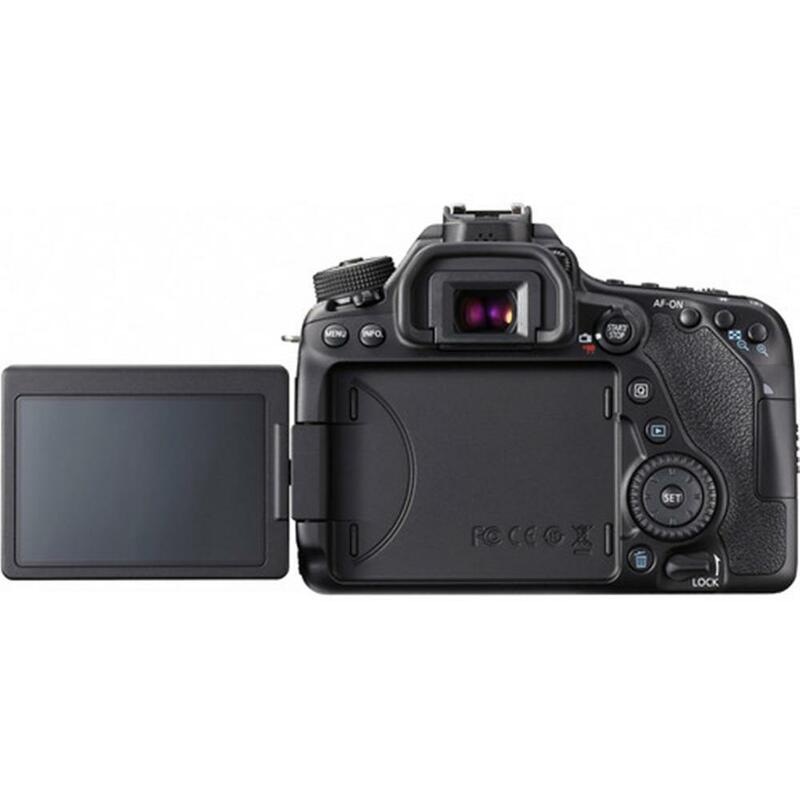 A powerful 24.2 Megapixel (APS-C) CMOS sensor and Dual Pixel CMOS AF for Live View shooting enhance the EOS 80D's performance across the board. Enjoy built-in wireless connectivity and Full HD 60p movies that can be saved as MP4s for easy sharing. 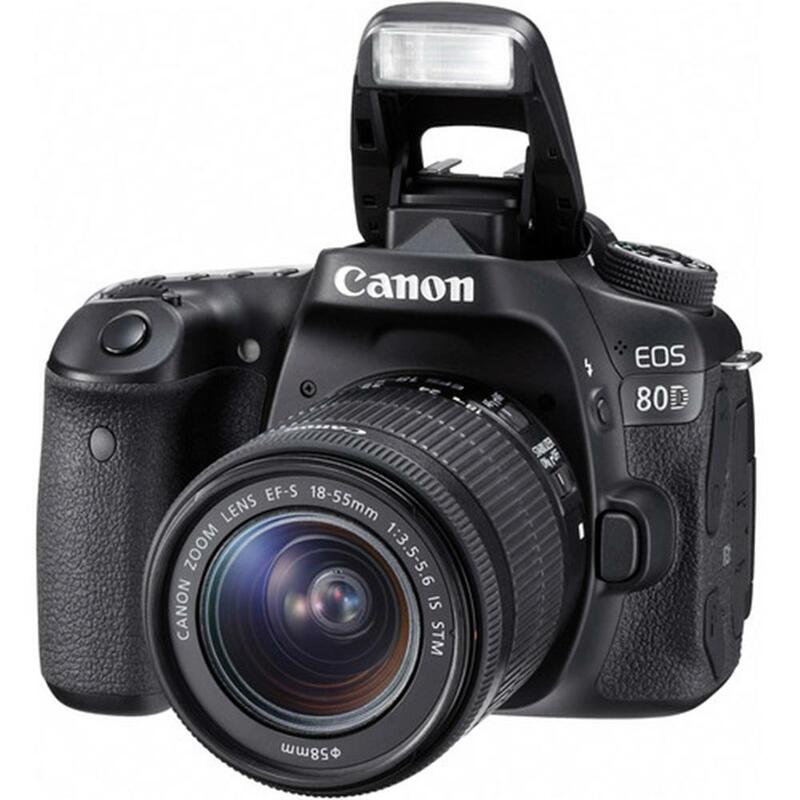 Merging power, precision and operability, the EOS 80D is a dynamic SLR camera for anyone ready to realize their creative vision. 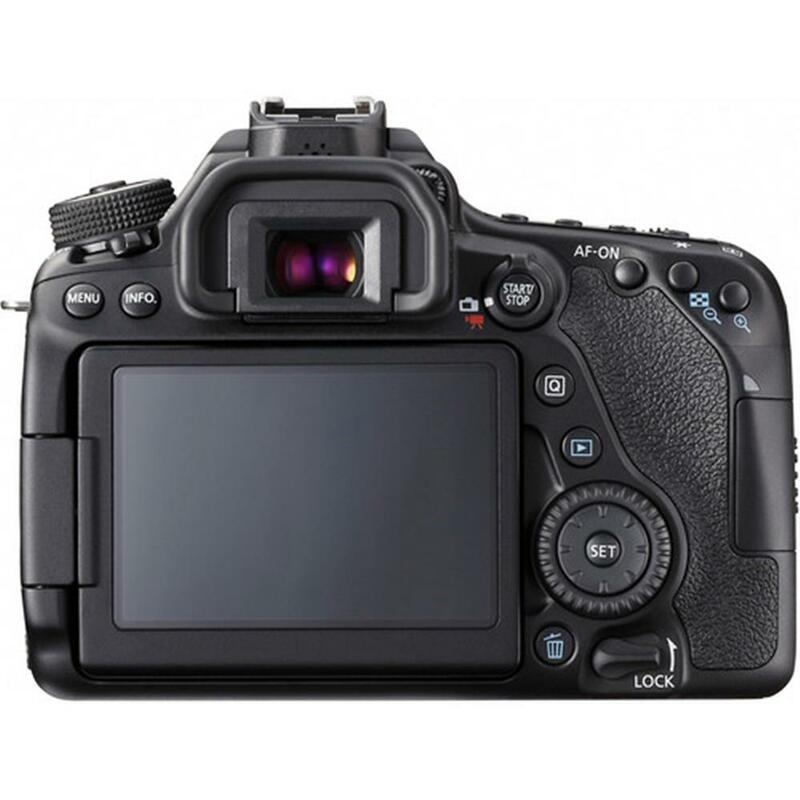 For next-level AF operation, the EOS 80D camera has a wide-area, 45-point, all cross-type AF system. Excellent in dim light, it has improved low luminance performance to EV -3. It also features 4 types of AF area selection modes useful for a number of different AF situations. These include user-selectable Single-point AF, Zone AF, where users can select from one of 9 predefined AF zones; Large Zone AF, where one of three zones can be selected; and 45-point AF auto selection, where the camera detects the AF point automatically. Capable of shooting up to 7.0 fps during continuous shooting, the EOS 80D is an amazing camera for quick action. Canon's remarkable shutter, combined with speedy, sophisticated electronics, helps ensure virtually instant response and performance. A rapidly occurring scene can be captured moment by moment, second by second, so that even brief opportunities are captured in crisp clarity. 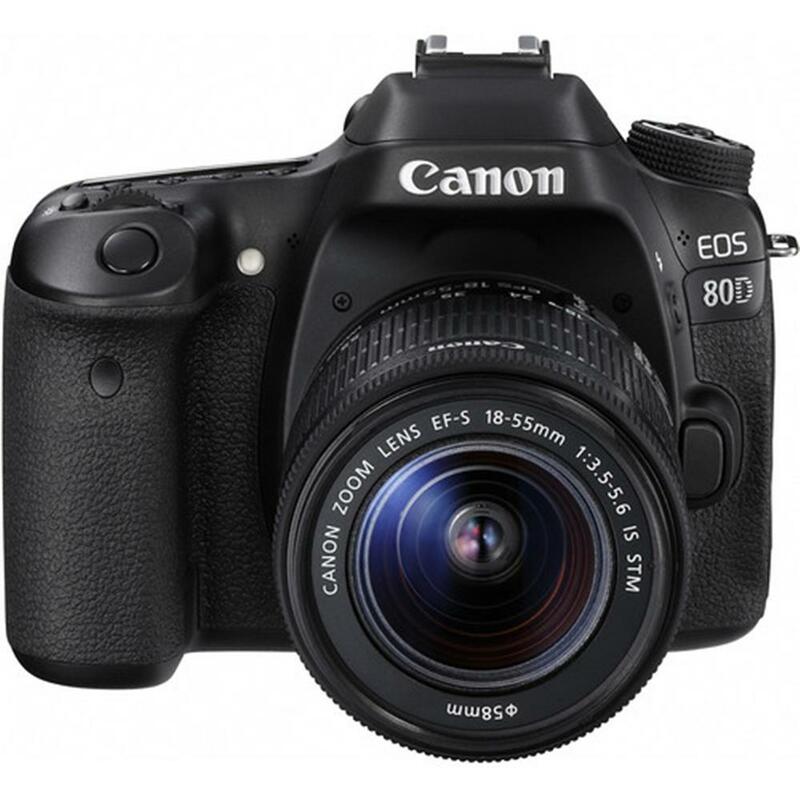 The EOS 80D features a newly developed 24.2 Megapixel (APS-C) CMOS sensor that not only captures high-resolution images, but also features refined individual pixels that enable high ISO speeds of 16000 for still photographs (expandable to 25600) and 12800 for movies (expandable to 16000, 25600). Equipped with high resolution and high sensitivity, together with a powerful DIG!C 6 image processor, will make each image you take frame-worthy. 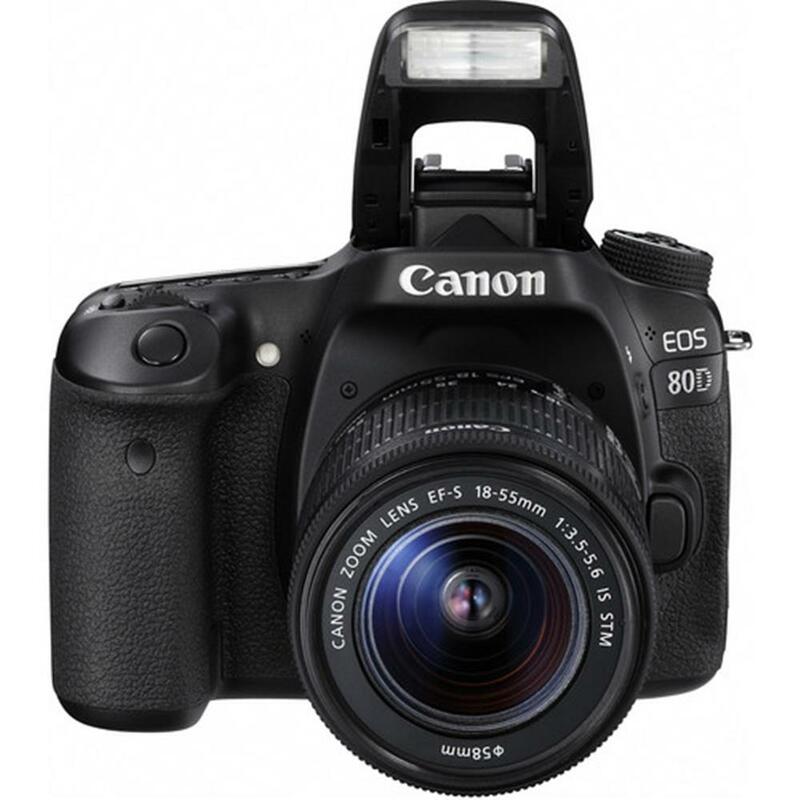 The EOS 80D camera features a flicker detection system that not only alerts the user in the viewfinder, but with the camera's Anti-flicker Shooting function can compensate for flickering light sources, taking shots only at peak light volume. This feature is useful for minimizing disparities in color and exposure, especially during continuous shooting in sub-optimal lighting situations. Capture video like a pro with ultra-smooth 1080/60p Full HD recording and fast, accurate focusing with Dual Pixel CMOS AF technology. Plus, built-in HDR movies and a vari-angle touch LCD screen will push your creativity even further. The EOS 80D camera introduces a number of new HDR (High Dynamic Range) modes that offer a great range of highlight and shadow detail for naturally rendered images, especially in contrasting lighting. In HDR Movie mode, the EOS 80D captures two HD movie frames at different exposures, one standard and one underexposed, in short succession at up to 60 fps, then combines them together for playback at up to 30 fps. HDR effects for still photography include Natural, Art standard, Art bold, Art vivid and Art embossed. The EOS 80D camera has a Time-Lapse Movie feature that takes still photos at set intervals and joins them to create a silent movie. Ideal for showing the moving clouds across the sky, growth of a plant, changes in scenery, the flow of people walking and more, the EOS 80D’s Time-Lapse Movie function creates professional-quality movies in-camera without the need for a computer, saving precious time when out in the field. 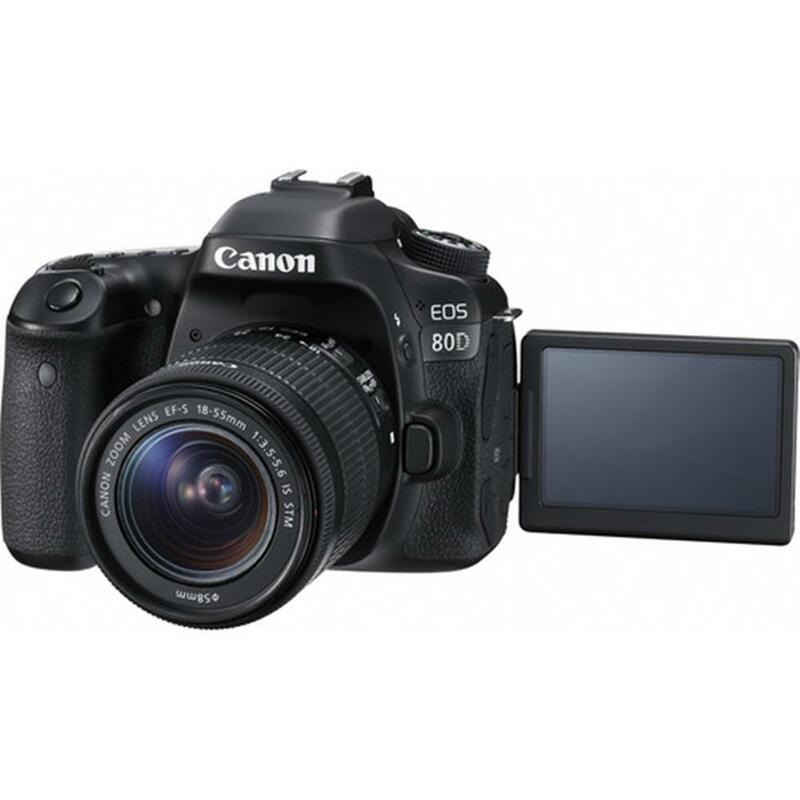 To add to the fun and creative possibilities available with the EOS 80D, the camera has seven different Creative Filters for Live View shooting that can dramatically alter the mood and visual effect of any particular scene. Creative Filters include Grainy Black and White, Soft Focus, Fisheye Effect, Toy Camera Effect, Miniature Effect, Art Bold Effect and Water Painting Effect. The EOS 80D also adds five new Creative Filters for movie shooting, including Memory, Dream, Old Movies, Dramatic B&W and Miniature Effect movie. Each effect can be applied in three varying levels and easily previewed on the LCD panel in Live View. Since the filters can be applied to the image after shooting, it's easy to try several effects on the same shot during post-process. 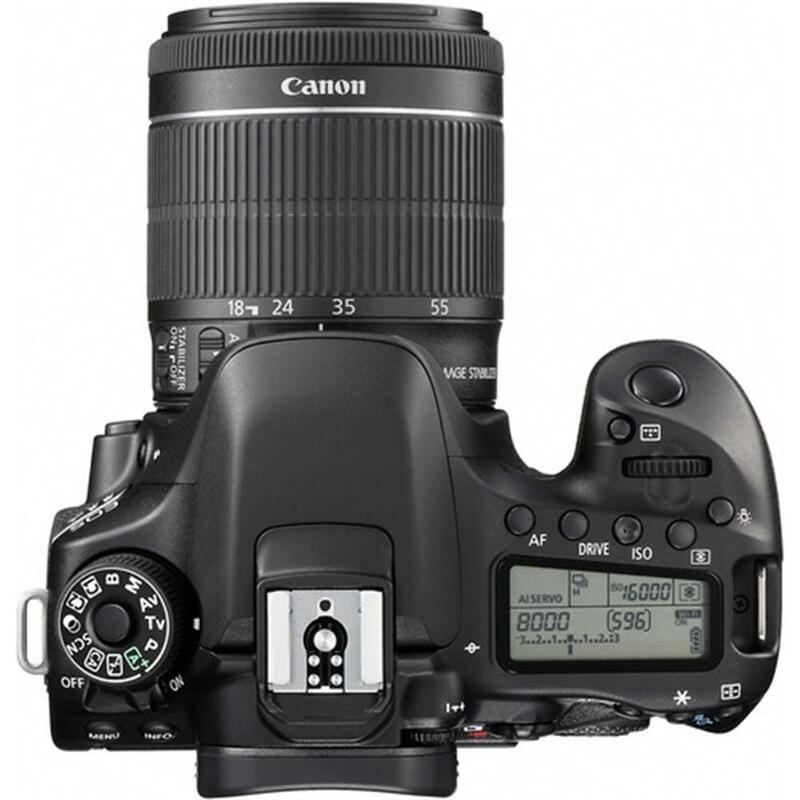 Web Code: 567CAN143 Now Only: $1349.99 SAVE $250.09 Low stock online. 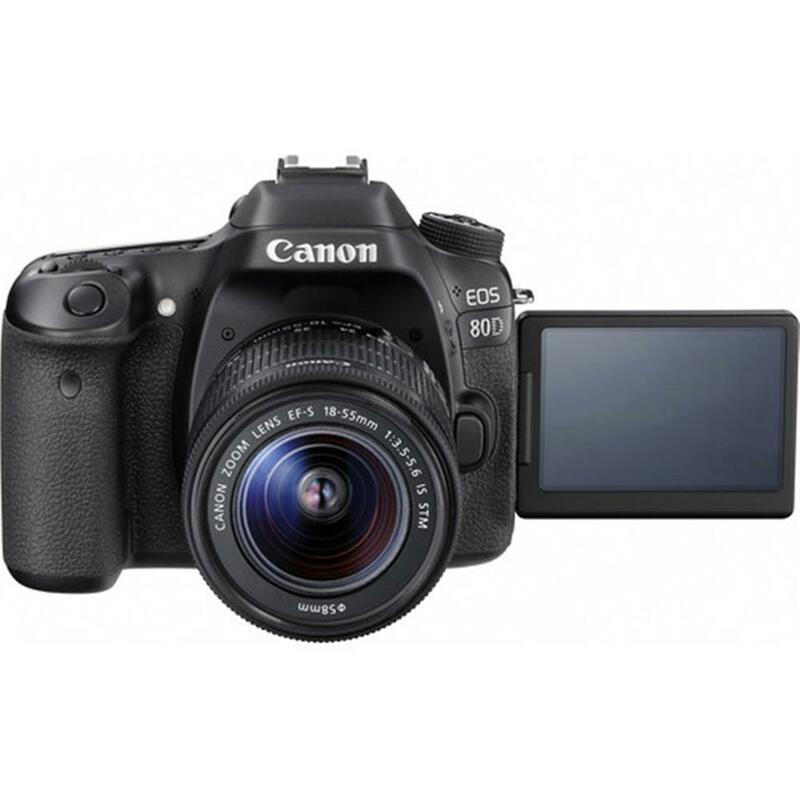 Web Code: 567CAN145 Now Only: $1849.99 SAVE $550.10 Low stock online.